When meditation is mentioned people automatically think or a woman, or a group of women. Well that needs to stop, men can medicate to! And here you will see five reasons why men would meditate and why they will benefit from it. Meditating is great for any gender, male or female. It has been known to reduce stress and give yourself a big energy boost. 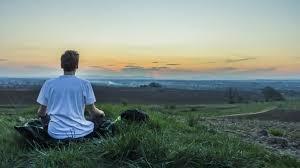 When it comes to men meditating it can be a bit daunting to admit that you attend meditation classes. Men, for some reason as time has gone by, have this muscle, macho man look and act like they have to be the hero of every family situation. This is not true. Men can have a down time to and if that down time involves meditation, so be it. Men are known as naturally goal orientated, this means they love setting goals and achieving theml, no man wants to become a failure. They believe that success is worked for and when achieved, they can enjoy it with everyone they love. Men are seen as the protectors as the family whilst the females are the keepers. Why is meditation good for men? Meditation reduces stress levels significantly along with anxiety. Men can get stressed about anything, just like women, at the end of the day they are human after all. The usual stress is work related, personal and home. If they have any f these stresses they can attend meditation classes to help relieve these symptoms. When men attend these classes they may feel uneasy at first but please do not, you are just as welcome as anybody else. Just think these classes will help you through your tough times. When you meditate your overall state of mind is much more clearer. You can have clear thoughts and make clear decisions, this will help you create much more clearer future plans. When problems occur you will have no problem dealing with them. Dwelling on the past can sometimes become a very depressing situation to get yourself into. Meditating will allow you to think about the positive, present situations and ways of life. When doing this process you will be able to relax and enjoy the moment. Everyone always says, listen to your heart and ignore your head. By meditating this will allow you to do just that. This process will allow you to get in touch with your inner self and ignore everything around you. Stress has been known to decrease your desire to have a sexual relation with anyone and yourself. Meditation has been know to improve sexual desire within yourself and between couples. What are you waiting for? Get yourself out there and make it happen. Give your relationship the boost that it needs. Meditate and you will enjoy the results. After reading this article i hope many men will take the leap towards meditations and drop the macho man shield.